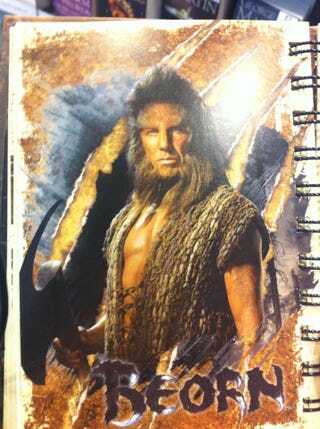 We had a small, blurry pic of The Hobbit's shapechanger Beorn from the back, but now we have a large blurry pic of Beorn from the front, and he looks like... huh. Looks like actor Mikael Persbrandt got his sideburns on. That's not to say it's bad; if you want a dude who's in touch with the animal kingdom, this is clearly the way to go. Frankly, I'm just happy any time a new Hobbit character is revealed who isn't covered in feces.